back the floorplan lines (i.e. inventory financing) for dealer inventory and influence the behavior of automotive dealers because of their profit impact on new and used vehicle operations. impacting a vehicle’s depreciation since it is the single largest expense for rental companies and other fleet operators, as well as the owners of the vehicles in ride hailing and ride sharing mobility companies. There are many factors that impact used vehicle values in the aggregate, and among vehicle segments, down to the individual make and model. The wholesale used vehicle marketplace is dominated by offline and online auctions where the actions of thousands of buyers and sellers across the United States and Canada determine the market clearing price for every vehicle offered for sale. By analyzing these and other data elements, the RVI Used Vehicle Price Index not only provides a single data point, updated every month, that enables the user to track wholesale used vehicle prices, but also compares current index values against historical measures. RVI, which has produced this Index since 2003, adjusts the raw data for the variability arising from inflation, volume, mix, vehicle condition, and seasonality thereby providing consistency and accuracy in both the Index and the short and long-term depreciation forecasts. RVI analyzes not only wholesale used vehicle transactions for all vehicles less than two years old and older than five years, but also the most critical age segment which is vehicles two to five years of age. This segment includes nearly all off lease units, trade-ins by initial purchasers, and a significant portion of the fleet market. It is also the key age segment influenced by automakers’ incentive strategies. The rigorous analytical steps applied to the construction of the Index ensures that we have adjusted for any and all distortions associated by inflation, seasonality, vehicle mix and condition, any of which can markedly influence the Index, reducing its value as an indicator of current or near term used vehicle market conditions or underling economic forces. RVI’s forecast is uniquely supported by our proprietary database (over 20 years of data) of historic price behavior by brand and model and incorporates our expert expectations for future supply and demand. The Index represents the sum of all of the macro economic factors and auto industry specific behaviors that influence the value of late model used vehicles. To that end, the Index itself is an important proxy for the economy as a whole, and more specifically, the financial performance of business enterprises dependent on used vehicles. 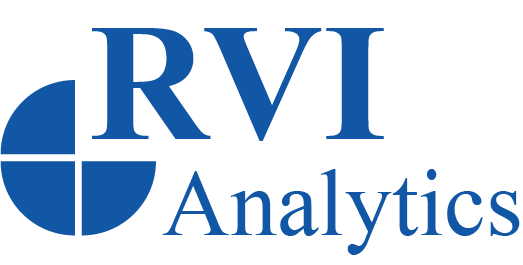 Forecasting depreciation curves for the used vehicle market, and for specific makes and models, is RVI Analytical Services’ core business. We evaluate our American and Canadian client portfolios, and our sister company, R.V.I. America Insurance Company, provides residual value insurance that limits exposure to greater than expected price volatility. Accurate forecasts of future used vehicle prices are critical to capital markets, lenders, fleets and private owners and to our own financial performance.